Lords -the home of cricket and, recently, the host of Chance to Shine, a cricketing charity which aims to keep cricket alive in schools as well as bring children together through cricket... which is exactly what it did. Play an informal tournament, go on a tour around the grounds (even inside the media centre), meet the whole England women’s team and, finally, meet the batting legend Graham Swann and 6.7ft tall pace bowler Steven Finn! Unfortunately, Great Missenden did not come out of the tournament victorious, having only won 1 out of 3 matches. 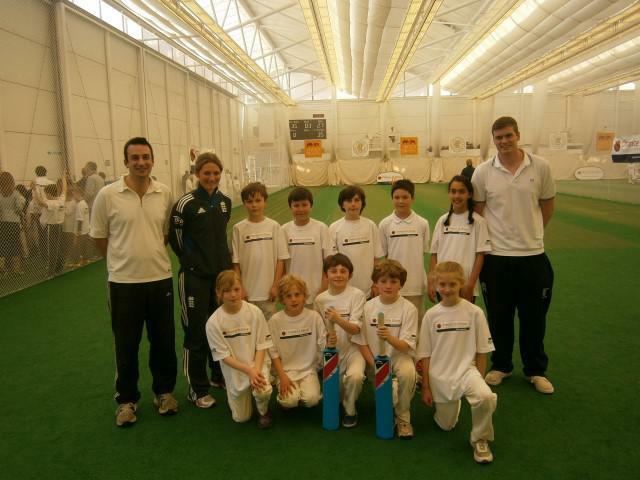 (The winning team were given the opportunity to bowl against Steven Finn!) However, they did not let it bring them down, and kept going throughout the day - and they did feel as though they had won when they held the championship trophy! If you thought the day couldn’t go up anymore notches, you’d be incorrect! The children were given permission to go into the Pavilion and sit in the home changing rooms and, finally, to see the trophy that England and Australia have been battling over for many years... The Ashes. An unforgettable day and an unforgettable experience for all of the attendees!